Are you looking for an entry level job with the potential to move up within the company? Luttrell Staffing Group in McMinnville is now hiring for Shipping | Receiving | Boat Hauler positions! Schedule: M-F, 7 a.m. - 5:30 p.m. Some Saturdays possible. Please apply by clicking the link below, then call Luttrell Staffing Group McMinnville (931) 507-2300! 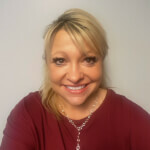 Michelle is a Staffing Coordinator at Luttrell Staffing Group-McMinnville. Before coming to us, she previously worked for over 20 years staffing, insurance, human resources, and workers' compensation management. If you're looking for a job in the McMinnville or surrounding areas, give her a call!